A rare few have left a legacy so deep and expansive, and one that spans the decades, as Mary Lou Fulton. As a devoted supporter of student achievement at Brigham Young University, Fulton’s generous support and impact on higher education will be greatly missed. The Ira A. Fulton College of Engineering and Technology reported that she passed away the first of October at age 82. She was one of the greatest benefactors of the College of Family, Home, and Social Sciences and Brigham Young University. Through the endowment established in her name, she touched many students’ and faculty members’ lives with her commitment to excellence and appreciation for scholarship. Along with her husband, Ira R. Fulton, she generously endowed four chairs in Mary Lou’s name at BYU. 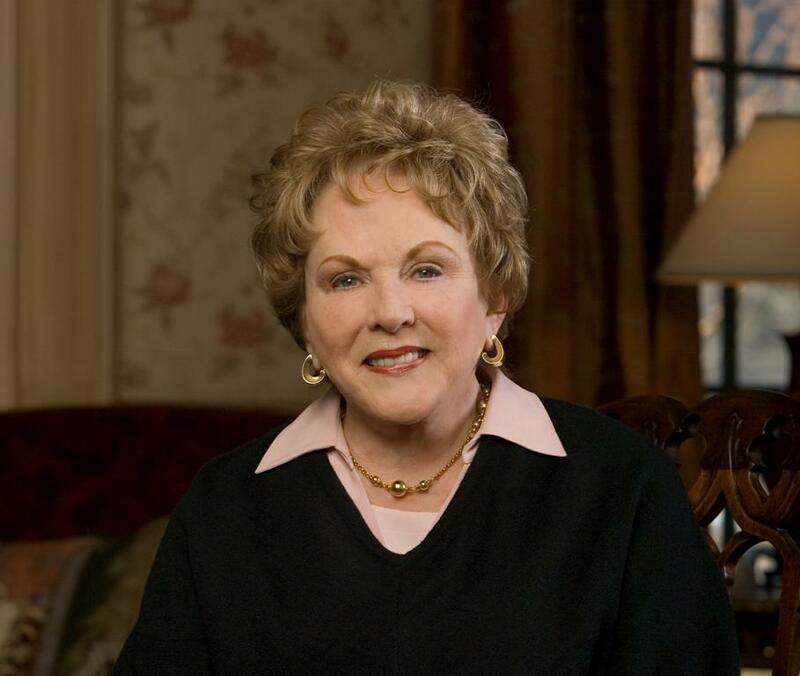 The Mary Lou Fulton Endowed Chair in the College of Family, Home, and Social Sciences provides meaningful research and educational experiences for students, faculty, and children. The chair was established by her husband in 2004 in recognition of her example. The Arizona native always maintained an enthusiasm for lifting others and promoting academic pursuits. In 1999, her and her husband’s first gift to BYU came as renovation help for the neuroscience labs located in the Spencer W. Kimball Tower. Since then, they have donated in excess of $50 million to Brigham Young University. students who receive personal mentoring from faculty. Opportunities may include study abroad, internships, and service projects. Professorships: Established scholars with a track record of excellence in teaching and research receive a Mary Lou Fulton Professorship for five years. Internship Grants: Current undergraduate and graduate students who are declared majors in a program in the College of FHSS apply for an internship grant of up to$1,600. Conference Participation Grants: This award can be used to pay for students expenses (travel, meals, lodging, etc.) regarding participation in professional academic conferences. Mentored Learning Grants: These fellowships are dispensed based upon peer-reviewed applications and enable faculty to involve undergraduates with unique research and publication opportunities. Students in various disciplines benefit from direct interaction with faculty on significant projects. Young Scholar Awards: This award offers incentives and recognition for outstanding scholarly work by promising young faculty. Each award provides funds to hire one student to assist the faculty member in his or her research. 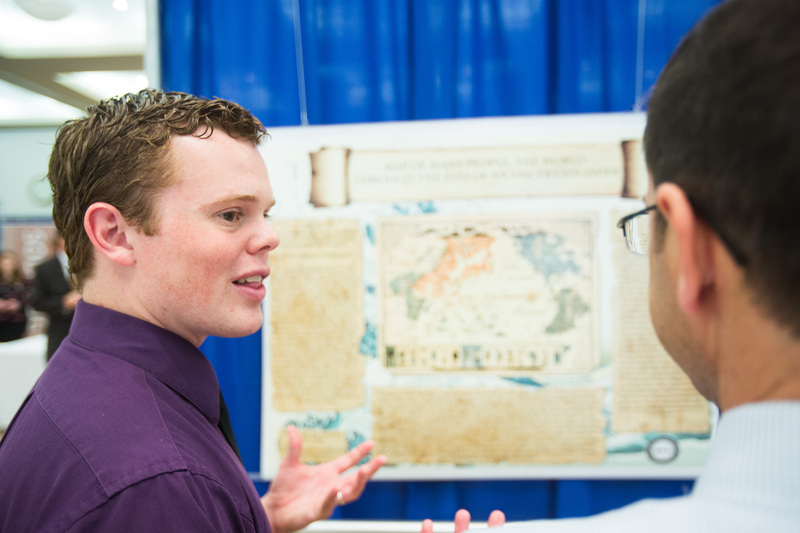 The Annual Mentored Student Research Conference is a full-day event, and is approaching its twelfth year in 2016. Both undergraduate and graduate students from all departments within the College of FHSS are invited to submit a research poster. The event is designed to create a platform for students to inform other students, faculty members, and the public. Several faculty members from the College of FHSS have benefited from the Fulton’s generosity. A professorship is an investment in outstanding scholars. Through this award, faculty recipients extend invaluable learning opportunities–which funnel future success for undergraduate students towards securing jobs and completing degrees at the best graduate programs. In 2005, Arden Pope, professor of economics, received the Mary Lou Fulton Professorship from the College of Family, Home, and Social Sciences. Pope, who teaches more than 600 students each year about the principles of environmental economics, said the Fulton Professorship is an important support to him and his students. “The Fulton Professorship has helped support several collaborative research efforts with scholars from various other universities and institutions,” Pope said. This experience…helped me realize how real my work is. I will never forget that feeling of accomplishment. I know that it is something that I will always hold on to as I keep pushing forward with my degree. [The Fulton’s] generous contribution [helped] me achieve this dream. I will always be so grateful for it. Likewise, Wade Jacoby, professor of political science has felt the impact of the Mary Lou Fulton Professorship in Political Science. He said that with the assistance of research support from this professorship, he achieved an exceptionally productive year publishing content and organized a strong team of student research assistants. For him, 2014 was an outstanding year. “I published four journal articles. I also published a chapter in a book at Oxford University Press with a former BYU student, which he used to get into the PhD program at Brown University in Providence, Rhode Island,” Jacoby said. During this time, Jacoby also co-authored a book for Cambridge University Press, in conjunction with colleagues from several top universities in the nation. Nearly every college and department on BYU’s campus has felt the generous hands of Ira and Mary Lou Fulton. Among those include the Joseph F. Smith Building, the BYU Athletic Complex, the BYU Broadcasting Building, and the Gordon B. Hinckley Alumni & Visitors Center. Other chairs begun to honor her legacy include the Mary Lou Fulton Chair in Theatre and Media Arts, the Mary Lou Fulton Chair in Health and Human Performance and the Mary Lou Fulton Chair of World Languages. To find the imprint of Mary Lou Fulton’s hand at BYU is an easy task. To follow the impact of it for generations to come will not be so easy. What kind of legacy would you like to leave at BYU?